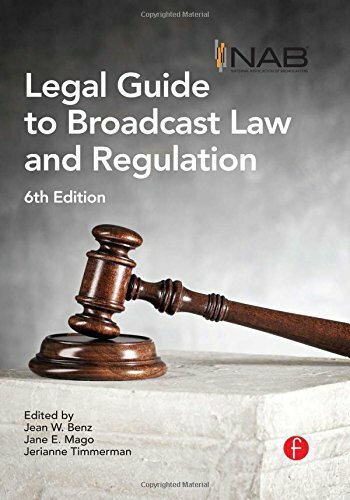 To guide the industry in the 21st century, counsel for the National Association of Broadcasters (NAB) and leading attorneys have prepared the only up-to-date, comprehensive broadcast regulatory publication: NAB’s Legal Guide to Broadcast Law and Regulation. Known for years as the "voice" for broadcast law, this publication addresses the full range of FCC regulatory issues facing radio and television broadcasters, as well as intellectual property, First Amendment, cable and satellite, and increasingly important online issues. It gives practicing attorneys, in-house counsel, broadcasters and other communications industry professionals practical "how to" advice on topics ranging literally from "a" (advertising) to "z" (zoning).